1.3 Can You Position A Radiator Behind A Door? 1.6 Could A Low Profile Radiator Be The Answer? 1.7 Have You Thought About Dual Fuel? 1.8 Would A Convector Radiator Be Better? 1.10 What About Electric Wall Radiators? 1.11 So Go & Make The Most Of It! If you have a radiator in your living room, it’s likely to be beneath the window, on an exterior wall. And if you’re thinking of replacing it, you’ve probably assumed your new radiator needs to be mounted in exactly the same place. Although radiators have typically been installed in this position for decades, technological advances in home heating mean that traditional limitations, which may have restricted radiator placement in the past, have been removed. Available in all sorts of wonderful shapes and sizes, today’s designer radiators can be fitted in a multitude of places, including alcoves and internal walls. This can help to make the best use of limited wall space and create a striking focal point in the process – proving that radiators are no longer just a metal box that kicks out a bit of heat! While you no longer need to fit your radiator under the window, there is some logic in doing so. Historically, radiators were fitted in the coldest part of the room – the exterior wall – where cold air would enter and drop to the floor. In times when double glazing was almost unheard of, placing the radiator here helped to eliminate the cold draught that would often come through the window. Wherever you choose to put it, try not to position your radiator behind large items of furniture, such as the sofa or cabinets. Doing so will restrict the flow of hot air around the room. Keep the immediate area surrounding the radiator as clutter-free as possible to allow the heat to successfully travel and permeate the room. If your radiator is swamped by floor-length drapes, the heat is trapped, and cannot fill the room. Similarly, mid-length curtains can restrict the heat output of convector radiators which blow air from the top. Try and ensure your radiator is positioned away from curtains and upholstery that could affect its performance. Can You Position A Radiator Behind A Door? In some instances, particularly in smaller rooms, positioning a radiator behind a door may be your only option. 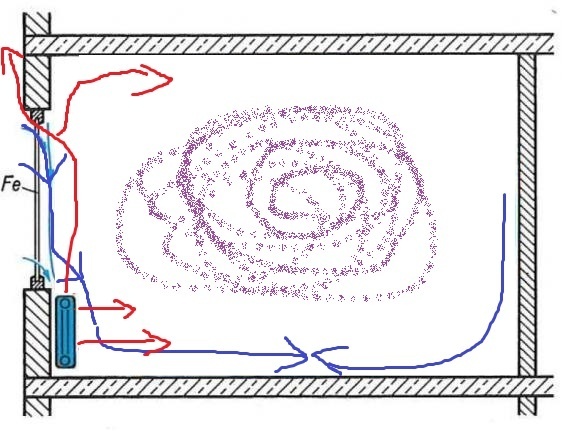 Since radiators move heat around the room via convection, positioning the radiator here shouldn’t be a problem. 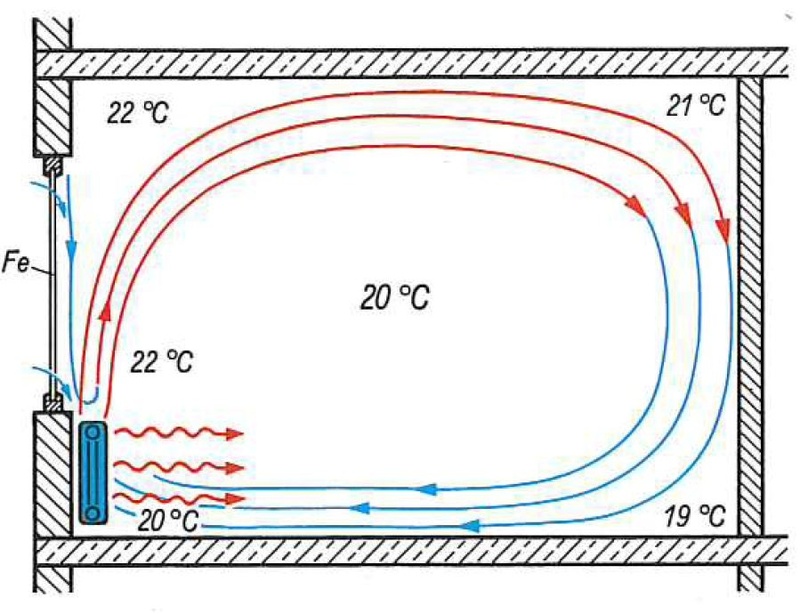 However, this depends on the temperature of the space that the door connects to. For example, if the door leads out into the hallway which is usually quite cold, then the heat will go straight to the colder area. Leaving the room that you are trying to warm up with no heat when the door is open. It may sound a little obvious but you should also make sure that there is enough space to open the door properly if your radiator is right behind it. Especially with little ones running around – the last thing you want is a big dent or scratch on your shiny new radiator! While it’s tempting to stick with what’s already there, don’t let the pipework you currently have in place dictate where you place the radiator. Changing its location could free-up valuable wall and floor-space, which you’ll find can be put to better use. Slim-line, vertical radiators are ideal for the kitchen, where wall-space is largely consumed by units and worktops. 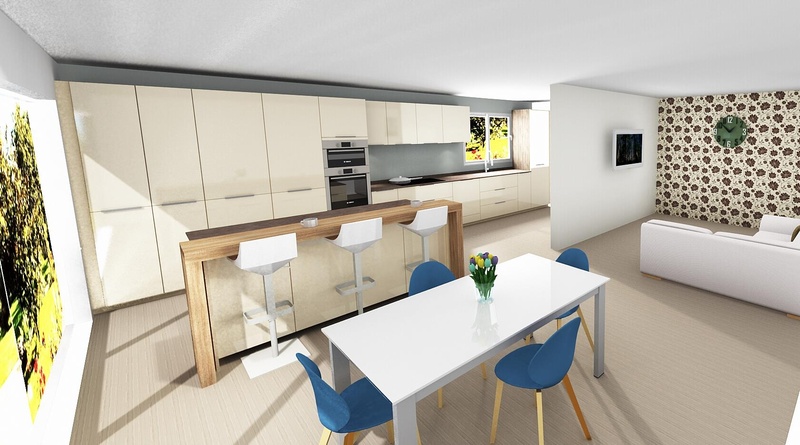 Choosing a style that is in keeping with the kitchen decor will also enhance the overall look of the room. Opt for a traditional, column radiator in country-farmhouse style kitchens, or a sleek, high-gloss model if your kitchen is contemporary. Could A Low Profile Radiator Be The Answer? If you’re heating a conservatory or a room with very low windows or a small amount of space, perhaps opting for a low-level radiator could be the answer. They’re perfect for adding a little touch of luxury to a space and kick out a fair amount of heat considering their size. You could say they are the pocket rocket of the radiator world. Have You Thought About Dual Fuel? If you’re replacing the heating in the bathroom, consider a dual-purpose heated towel rail, which will keep the bathroom cosy and welcoming, as well as the towels warm and dry. The right position is crucial here; be sure to place the rail as close as is possible to the shower or bath, so that towels are within reaching distance. Would A Convector Radiator Be Better? Similarly, if you have no choice but to place the radiator behind furniture due to space-restrictions in your room, consider choosing a convector radiator which will emit heat from the top instead of a panel which will radiate heat straight into the back of the settee or furniture. If you simply have no choice, or you do choose to place your radiator on an exterior wall, be sure to insulate it well. Placing a sheet of foil-faced, expanded polystyrene lining behind the radiator will ensure that heat is reflected back into the room, instead of being lost through the outside wall. This is a cheap and convenient way of maximising the heat output of your radiator. What About Electric Wall Radiators? Electric wall radiators are great because you don’t have to have your central heating on for them to work. This gives you even more flexibility when choosing where to position them. Plus, with new attractive designs now available you no longer have to hide your electric wall radiator. A good place to start is to think about which rooms have fluctuating temperatures. For example, the kitchen will get hot when the ovens are on. So, an electric wall radiator in the kitchen would be great because you can turn it off but still keep the central heating on to warm the rest of your home. This is the same idea in the bathroom. You might not want to put your heating on in the summer, but still want to get your towels nice and warm. So an electric heated towel rail would be perfect. Of course, where in the room you position your electric radiator depends on where the mains electricity is. If you go for a plug-in electric wall radiator you can hang it wherever you have a plug socket. This should be easy enough to do yourself. But, if you choose to hardwire the radiators into the mains, we would advise getting help from an electrician. So Go & Make The Most Of It! Hopefully, these useful tips will give you the confidence and inspiration to think outside the box when it comes to positioning your radiator. And, with so many styles and finishes in the BestHeating.com range, the possibilities really are endless! Need help installing or moving your radiator? Take a look at our chief installer and keep an eye out for some tips on how to adjust your pipework to move your rad. Cold air falls and hot air rises, creating a current of air that warms your room. This is less important now that people have double glazing though. I placed incense stick near radiator and the air didnt’ move around the room like in the picture. We need realistic schematic and I can’t find any on the net, just pc-animations..
some heat escapes directly trough the windows. If only we had the ability as humans to see in infra red – we could then bottle the proverbial egg once and for all. can i place a radiator near the consumer unit? There are no real notes in the regulations that I can find, but common sense would say to keep it at least 250mm away if it is pipework, and even further away if it is the radiator. As you can imagine, heat will melt plastic and that’s something that you really want to avoid. Don’t have any joins in pipework near to the unit. In all honesty, there isn’t a standard that dictates where it can and can’t be in relation to your consumer unit, but water and electric (as you know) shouldn’t mix, so try and stay safe with it. If you have any concerns, or are still unsure, it’s definitely best to contact a gas registered engineer. Hi Sam, if you haven’t done so already, I would recommend putting some radiator foil on the wall down the back of the radiator. Something like Radflek is good. I would also perhaps look at purchasing a radiator fan, or radiator booster. They can help to circulate the air in the room. I would also look at how well insulated the window is, and whether there is any way to further insulate the walls. You can get hold of insulating wallpaper, but it can be a bit pricey. There is polystyrene stuff available for about £9 a roll, but it’s less effective than the more expensive stuff. Another way to try and retain heat is to get up in your loft and have a look at the insulation up there. You may often find that, at the very corner of the house, the insulation isn’t flush to the eaves, so take the time to look up there and see if there are any gaps to fill. You won’t do any harm adding a little more insulation above the room, but again, it can get pricey if you go higher end. Failing all of that, you could look at buying a bigger radiator, but there is an obvious cost to that as well, bigger rads will cost more to run usually, so if you do go bigger, be sure to invest in some TRVs to control the temperature as best you can. I hope this helps a little, if you would like a more in-depth chat, why not give our technical team a call on 0344 417 2563. Good luck! Hey John, do you have any estimates of savings that can be made (perhaps in a %) by not positioning furniture in front of radiators? Unfortunately not Alan. I did actually check for figures on such savings when writing the piece. But sadly, my go to resources for such things, like the Energy Savings Trust and elsewhere didn’t actually have any definitive figures. I guess it’s hard to judge to be honest, but common sense would seem to dictate the terms in this situation. Heat will be readily absorbed by furniture, so it’s always best to keep a radiator clear. As for the percentage saving, I think more research needs to be done before I can give you an answer deserving of the question. If you do find somewhere that can tell you though, please come back and let me know. Thanks. Hi John, I want to put a small(ish) electric radator in my kitchen but the most low profile spot is just at the base of the stairs that goes upto the room above the kitchen. Will this still heat the kitchen or will the heat disappear up the stairs? The way it works normally is that 30% of a radiators heat is ‘radiant’ heat and the other 70% is convective. so I would say that if you bought a radiator with a high enough heat output, you could probably get away with it. I hope this helps a little. Hi, thanks for this info it has been useful. My kitchen has no radiator currently and limited wall space so thinking of putting a small radiator on the end of the wooden kitchen cupboard unit rather than a wall do you know if this would be ok or a bad idea? A plumber has just installed a double panel double convector radiator in my bedroom. There is about 1 inch space above it and above it is a 2 ” thick 8ft floating shelf from Ikea. I’ve just realised that heat comes from the top of a convector. Have I been had? Should he have done this? The whole point of this radiator which emits nearly 7000btus is that i have never been warm in my bedroom & had to use fan heaters. He re-sited the positioning of my new rad from elsewhere in the room & didn’t say anything about the shelf being a bad idea! What should I do now? Should I remove the shelf which has all my toiletries stuff on it and is really useful! Hi there ayuche1954, I wouldn’t say that you’ve been had, no. What I would say is that putting a shelf over the top of your radiator could perhaps reduce the efficiency of it. As I said below (in the other comments), radiators work through natural convection, so you need to have space for an adequate amount of air to move under and through the fins at the back of the radiator and back out into the room. Obviously, the shelf is a practical addition to your bedroom, so rather than doing away with it altogether, perhaps move it up a couple more inches to allow the air to flow properly round the radiator – that way you have the best of both worlds. Some people would even say that the shelf will help to push the heat out into the room, but this will only be worth it if there is adequate space above the radiator. In short, my advice (if you want to hold on to your shelf) is to move your shelf up a couple of inches if you can and this should help the warm air to move around more freely. Thank you so much. And especially for being so quick. My wife and I recently rented a home tat was built in 1931, which has radiators for heat. 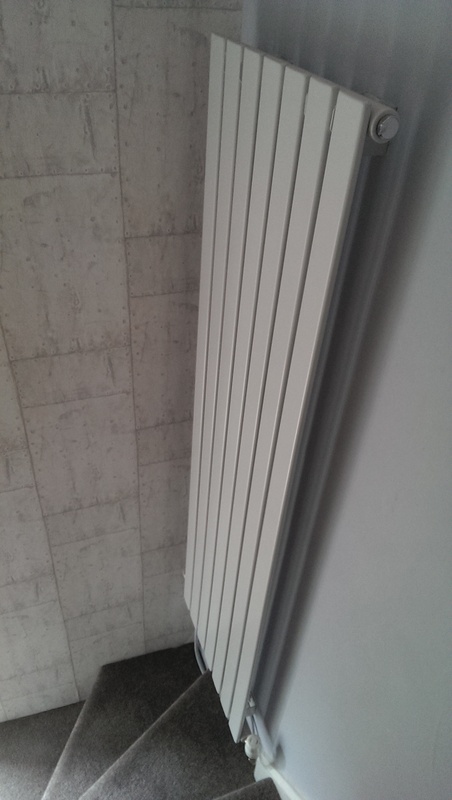 Two of the radiators, one in the breakfast nook and one in the front entrance, are at an angle and not flush or parallel with the wall in which they are mounted against. Is this normal, or is there something wrong? The one in the breakfast nook I s especially annoying because it takes up room, preventing us from putting a larrger table and chairs in there. Hey NiteGoat (top name), sorry, I wasn’t notified of this message for some reason. As for the radiator – “normal” – no it isn’t, it sounds like they have been installed poorly or at least not properly. If you could post a photo that may help me to diagnose what the best course of action is, but, if they are taking up space that you could make better use of, I would recommend replacing them with something that isn’t as obtrusive. Thanks. I’m renting the home and their heating and cooling guy tried to preposition them yesterday, to no avail. He said he doesn’t believe they are original to the home, since the fittings are not of a standard size. Because of this, he said if he were able to convert them, he would have to tear out the wall and re-plumb them, which of course he is not willing to do. So I guess I’m stuck with an almost un-usable breakfast nook. Behind a sofa is not always a great idea as it blocks currents of convection from moving around the room. Under a TV shouldn’t be too big a deal, as long as there is a good bit of space between the top of the radiator and the television, and your french doors should be fine near to a sofa. Hi john, my radiator is exactly opposite to window on the wall . My friend is suggesting me to move the radiator underneath the window because there is little bit damp on side of window . He think radiator is at wrong postion that’s why damp is there . Do you thank that will help ? Really confusing Thanks ! I’d have added to this article that another reason for siting rads below a window is that the external wall itself is cold and there may be some benefit to off-setting that with the rad, but mainly that furniture tends not to be placed under a window, so this maximises use of wall space. Agreed Marcus, I actually thought I had put that in there lol. I won’t bother going back and adding it in, as you have been kind enough to point it out for me. Hi John! In this moment I do prject of heating and all our radiators I put under window. In generall it is our traditional in Ukraine.Very intresting to read your blog.Thank you. Today I found it and going to read more. Thanks for reaching out all the way from the Ukraine Ulia. It’s pretty much the tradition here in the UK too, but more and more people are putting radiators on internal walls because of better windows keeping the cold outside at bay. That said, it makes more sense to put them under windows, even now, because the space can’t really be used to put anything else. Thanks for commenting and good luck with the project. Hi,I just bought a new larger radiator to move from an internal wall to under our large 3 metre wide window. The house built in the 70’s had an odd mix in the lounge ,I believe of a myson heater and a gas fire. 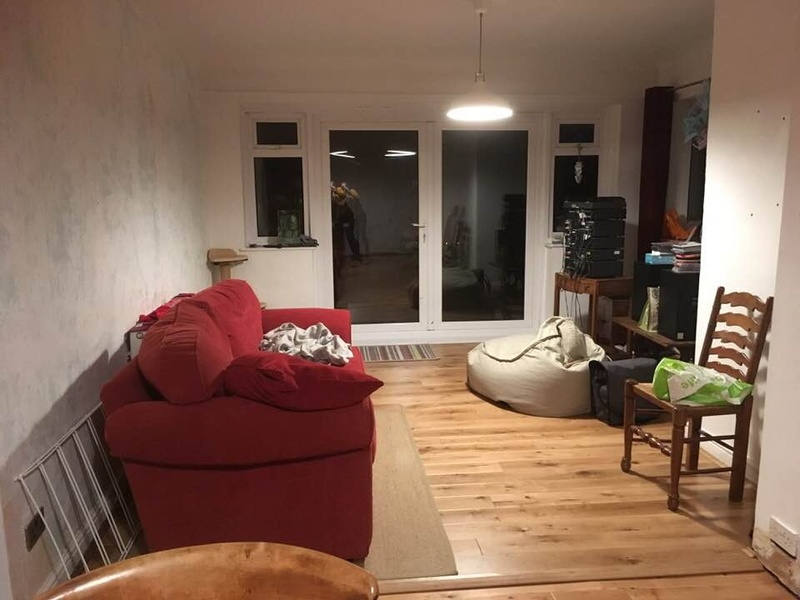 There is not much actual wall space in a large room.Previous owners had put in 2 small radiators on internal wall .The room was always cool on the opposite side of the room (external wall). My recent foray into wireless thermostat with graphs shows a much quicker heating up to required temperature since changing size and much more comfortable across the whole space by relocating. So despite all the arguments you have to work with your rooms and lifestyle . 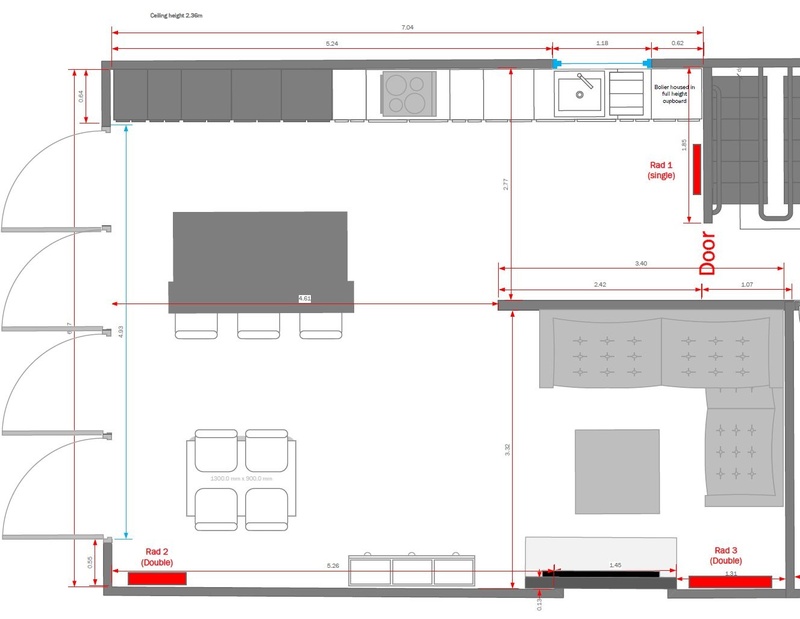 Hi – we are about to have building work to remove the 6m wall between our kitchen and living room. This will leave a 6m wide by 7m long room with bifolds at the end. We’re losing 2 radiators on the wall to be removed, which are closet to the rear of house / bifolds. or should we think about different placements altogether? Hi Neil, looking at the plans – provided that you are using a Delta 50 calculation for the BTU output of your radiators – the way you have this set out is perfect. The description listing of the products on our site shows the Delta 65 output. This is the top heat output that the radiators and towel rails can achieve, but the industry standard calculation and the one that you need to focus on is in the additional information tab on the product pages. There are lists of Delta 30 and Delta 50 – this is a more accurate representation of what can be achieved by a standard boiler and central heating system. We do specify this on the product pages, but it’s not entirely obvious, so I wanted you to be sure. The room is set out great and provided that you purchase radiators with the adequate BTU output at Delta 50, in order to meet your 18-19k needs, you should be golden with where the rads have been placed. Good luck with what looks to be a great project and one that I am pretty jealous of! Hi – I’ve recently had some building work underta https://uploads.disquscdn.com/images/76b7621023b2f29877fbc2d7ca77f7ddacee122807683e634079f991b4555aed.jpg ken and it has resulted in the installation of a vertical feature radiator underneath the main fuse box. The gap between the top of the radiator and the bottom of the fuse box is approx. 15cm. Should I be worried about overheating the fuse box? Hi Sharon, It will work for sure. It is very common for people to choose a vertical radiator instead of a horizontal one. And provided that it has a high enough heat output it should adequately heat the space no problem. Just ensure that the space is properly insulated and that the windows are in a sound condition (no gaps or draughts) and he will be fine. Along with the gas fire, I have no doubt that he can create a nice and cosy space. Good luck. Hi there. I am in the process of doing up my daughter’s bedroom. It’s a large 9′ x12′ room with the radiator on the door wall. The other shorter wall is almost taken up by French doors and a window with a 2′ space in between. The reason I am wondering about moving the radiator is that my daughter is having a high rise bed one end of which will be on the radiator wall. What do you think? Do we need to move the rad. or just keep the bed slightly away fro the wall? or what? Thanks for getting in touch. I had a very similar problem in my daughters’ bedroom. I had a set of bunk beds and the only way I could get them to work in the space was if I had one end of the bunks almost on top of the radiator. This wasn’t too bad for me as the room was south facing and was quite warm anyway. My only worry was that when the heating was on, the radiator did get very hot and its close proximity to the bed worried me slightly. But in terms of heating the space, the short distance between the bed and the rad didn’t really have an impact. As the girls grew and we swapped out the bunks for two single beds, the room didn’t get noticeably warmer because the radiator was more exposed; the ambient temperature stayed pretty much the same. In your case, provided that there is ample room for air to circulate around the radiator and back out into the room, you should be fine. As the bed is high-rise, I am going to assume that there will be a desk space/cupboard/seating area underneath anyway, so there should be plenty of air being circulated to keep the space warm and cosy. However, if it is just a solid piece of wood that is going to be facing the radiator at one end of the bed, I would perhaps reconsider and move it to under the window if you can. That space is already ‘dead’ for furniture anyway and it will probably be the coolest part of the room, so is a natural fit for radiator placement. There isn’t really a right or wrong way to do this tbh Penny – it’s really all about how you want the room to work and the logistics of moving a radiator from one side of the room to another. What I would say is that radiators can get very very hot and there have been instances in which young children have been burned quite badly by them, so just be sure to consider all possibilities before committing. If you really wanted to, you could perhaps opt for a radiator cover and your daughter could then perhaps use that space on top of the radiator for placing some of her favourite toys on, etc, just be sure to take into account that there could be a decrease in the heat output – only marginally – if you do opt for that solution. In short, if I was you, to save myself the trouble of moving the radiator and provided it is safe to leave it where it is, the room gets warm enough and you can get the furniture in without too much of an issue, I would probably leave it where it is. Like I say, there is no right or wrong answer imho. 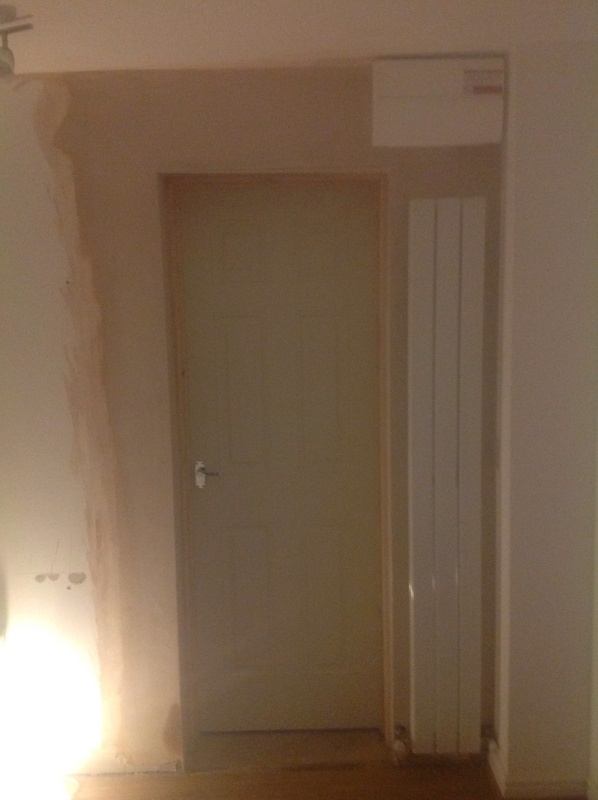 Hello John, apologies for asking a blindly amateur and probably quite stupid question here, but what do you think about placing a tall vertical rad in the space behind where the door to the room opens in to? Given our nearly nine year old is not great at closing doors when asked, I’d imagine the rad will always have the opened door in front of it. We are converting part of our garage into an internal den/playroom, including a doorway off our hall. As this will be a den, it is quite small, 3000mm long by 2500mm wide. We’ll need approx. 2650 BTU to heat it really well. The space behind the door is adequate for a vertical rad, and won’t cause any issues for the door opening properly, but I’m more worried about having a less warmed room, eventhough we’ll retain all of the usable wall space. I’d be really grateful for your thoughts. Many thanks! Ahh nearly 9-year-olds, I have one of those myself Jerry and she has a similar condition! Great question and thanks for getting in touch. As radiators actually work via convection, the door being open will probably create more of a current to move the heat around in that space – which is no bad thing. But, as the immortal laws of thermodynamics tell us – hot goes to cold – so a lot will depend upon what is outside of that door. As this door is going to be opening from your hallway – provided that your hallway is heated adequately, it shouldn’t make much of a difference. However, if your hallway is usually pretty cold it could be an issue as the heat coming from your dens radiator will look to find its way to the cold space. I would try to ensure that the new den has as much insulation as possible to give the room the best chance of keeping warm and perhaps consider a hinge on the door that makes it self-closing. It obviously doesn’t have to lock – god forbid I know my daughter would lose it if she got locked in any room – but you can pick up a self-closing hinge for around £15-20 that won’t make the door too difficult to open from the inside and will ensure that it always stays shut to keep the heat in the space. I hope this helps some. Let me know if not. And all the very best with the project. Secondly, there isn’t really a wrong answer in this instance, only what best serves you in terms of practicality. I take your parents point about the external wall. It’s probably the coldest part of the room and having one radiator there and the vertical on the internal wall would be a good idea. But with double glazing and the proper insulation, the need to place radiators on an external wall is much diminished and provided you get two verticals with adequate heat outputs for the space, choosing that option is also going to be ok. So, without seeming to sit on the fence, in this instance, it really is personal preference and what will work for you. A pair of verticals will make a nice centrepiece/focal point in the room and maximise any available space that you have, and the more traditional ‘under-the-window’ approach – alongside a single vertical on the opposite wall – will ensure that the coldest part of the room doesn’t impact the overall temperature. If I had to choose, I would probably go for the plumbers suggestion, but be sure to minimise any draughts from windows and check that you have good insulation. I hope this helps, but feel free to come back to me if not. Good luck! Hi, I currently have a radiator at the bottom of the stairs (outside wall), would it be better to move the radiator away from the bottom of the stairs on to an internal wall? Hi HilaryJ, there is nothing wrong with where it is right now tbh, provided that you have enough insulation in the space above and the space doesn’t feel too cold. I did a blog on heating a hallway that covers a little about staircases and the difficulty of heating that space properly. But feel free to move it if you think it is going to make a difference. There’s no right or wrong answer in this instance, really. Check this blog to see if it helps – http://www.bestheating.com/info/blog/hallway-heating/ – I hope you find a solution.